There are many tourist attractions in Florida, which means that the roads are dotted with tour buses. Travel agencies sponsor many of these groups as part of a multi-destination package, while in other cases, churches and other organizations either hire charter buses or transport people in a church or other vehicle. Unfortunately for many people, these vehicles cause a number of car accidents while they are on the road. As a result, many people have questions about their rights in tour bus crashes. 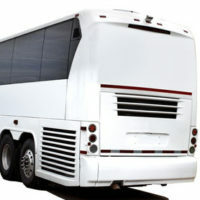 What Legal Responsibilities Do Tour Bus Drivers Have in Florida? Non-commercial drivers usually have a duty of reasonable care, which normally means that they must take sensible precautions to reduce the risk of car wrecks. They must be sober and alert before they drive and adhere to the “rules of the road” as they drive. But tour bus drivers are common carriers in Florida, which means that they are virtually insurers of their passengers’ safety during their trips. This high standard of conduct applies not only to potential car wrecks, but also to the safety of the passengers while they are on the Brandon-area tour bus. Company representatives have a responsibility to break up fights and clean up spills in the aisles. Furthermore, the drivers have a duty to avoid sudden maneuvers whenever possible, so that luggage does not fall from the overhead bins and injure a passenger. Because tour bus drivers frequently serve as bus operator, on-board referee, and risk management officer, their focus is divided instead of entirely on the road. Distracted driving is a serious issue in Florida, as hundreds of people are injured or killed every year in distracted driving-related crashes. At freeway speeds, many vehicles travel approximately the length of a football field if the drivers turn their heads for just a few seconds. Furthermore, many Florida tour buses operate early in the morning, late at night, or at other odd hours. No matter how much sleep they got the night before, most people are naturally drowsy at these times of the day. Fatigue and alcohol have much the same effect on drivers. In fact, operating a vehicle after eighteen consecutive awake hours — which is basically a long day at a tourist destination — is just as hazardous as operating a vehicle with a .08 BAC. Employee: Florida law defines “employee” very broadly to include almost anyone that the employer controls. That could be a regular W-2 employee, an owner-operator, or even an unpaid church volunteer. Scope of Employment: The car accident must occur while the tortfeasor was acting within the scope of employment. Similarly, this phrase is broadly defined to include any activity that benefits the employer, which could even be simply driving a vehicle emblazoned with the company logo. Furthermore, the car wreck must be a foreseeable consequence. Stealing a tour bus from the parking lot probably breaks the foreseeability chain, but anything less probably does not. Florida law holds tour bus drivers to a higher standard. For a free consultation with an experienced personal injury lawyer in Brandon, contact Reed & Reed. We have four area offices (St. Petersburg, Lakeland, Tampa, and Clearwater).